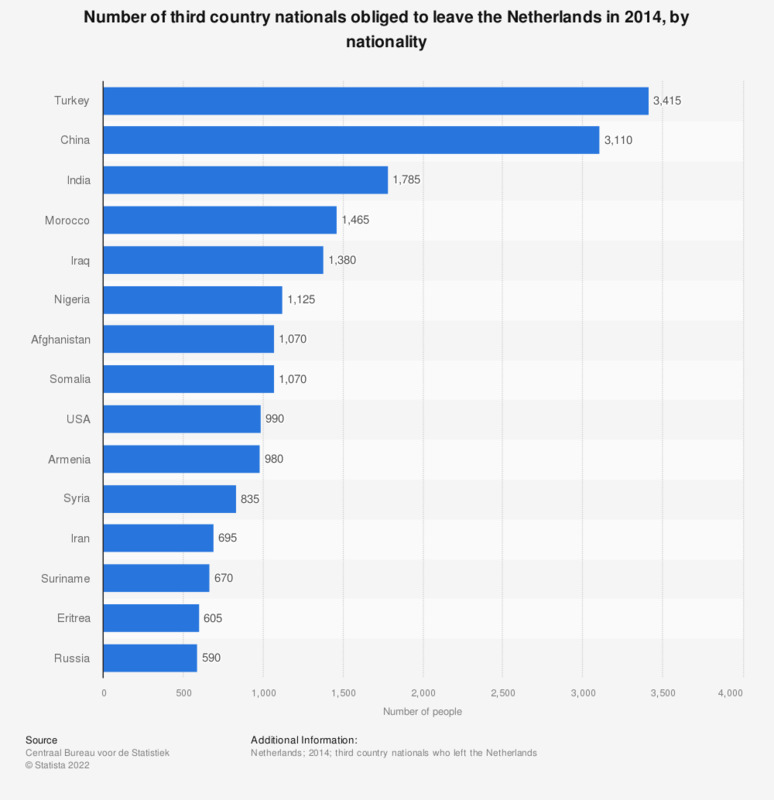 This statistic shows the number of third country nationals obliged to leave the Netherlands in 2014, by nationality. In 2014, 3,415 people originally from Turkey were told to leave the Netherlands. The source defines third country nationals as nationals with another nationality than one of the EU member states, Norway, Iceland, Liechtenstein or Switzerland. This also includes stateless people. A third country national who does not have the right to stay in the Netherlands receives a compulsory return letter with a date when he or she has to leave the country, either at his/her own will and arrangement or with a forced arrangement. Only the 15 countries of origin with the most nationals obliged to leave the Netherlands have been included in the statistic displayed above.